I have never really made resolutions when a new year would start… In fact, why those resolutions of healthy life, better habits or whatever it is have to start on a new year, a first of a month or a Monday? Why some people would say, we are Wednesday and next Monday I am stating a diet. Why not tomorrow? Why not a Thursday? It is just silly to me. So since we entered February, you can go ahead and break your resolution! I prepared this post to share the recipe of pie crust I use. You can do salty or sweet tarts with it. It is very simple. Ok. One more thing… I won’t tell you broke you resolution and you will never eat pie crust from a store again! Deal? Making the effort is so worth it. 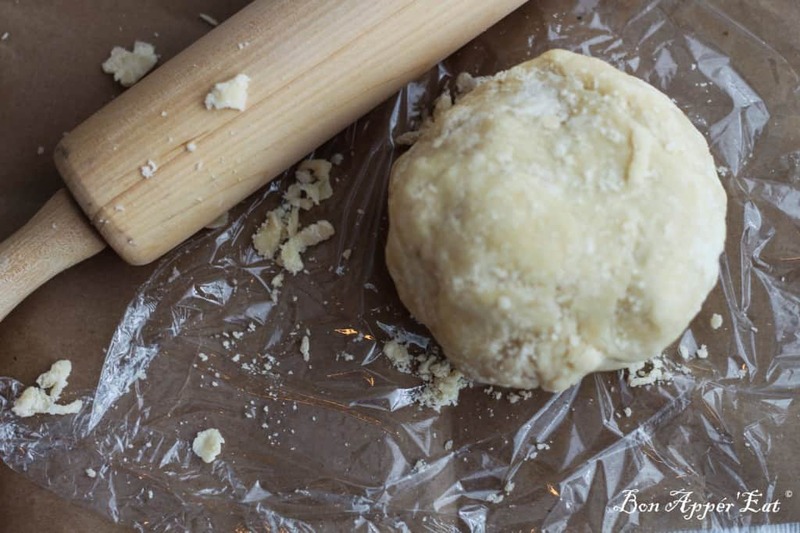 Mix the butter, the flour and salt together until it is crumbly. Add the milk at once and mix gently to form a bowl of dough. Don’t over-work it, just enough so all the crumbs are all picked up. In a few days… I will give you a recipe to use your new skill!